Sichuan province, as one of the cradles of ancient Chinese civilization, is home to all sorts of historical relics and cultural heritage that attract large crowds of visitors from home and abroad every year. One of the best known sites is the Sanxingdui Ruins, which was found in the county-level city of Guanghan in the 1980s. Excavation of the site led experts to reassess their estimate of when civilization first arose in Sichuan, according to Chen Xiaodan, a leading archaeologist with the Sichuan Museum in Chengdu who took part in the dig. Instead of 3,000 years ago, as was believed previously, it is now thought to be closer to 5,000 years. 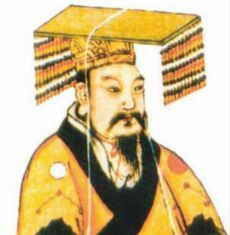 Duan Yu, a historian with the Sichuan Academy of Social Sciences, said that the Sanxingdui Ruins, on the upper reaches of the Yangtze River, challenges the traditional narrative that Chinese civilization spread from the central plain of the Yellow River and instead serves as proof that its origins were diverse. 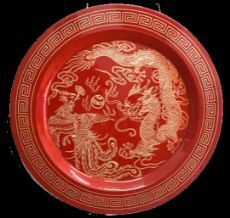 Chengdu lacquerware, at more than 3,000 years old, is another example of the region's long history and exquisite art. It was introduced to countries along the ancient Silk Road during the Han Dynasty (206 BC-AD 220) and listed among China's national intangible cultural heritage in 2006. "Chengdu lacquerware is incredibly gorgeous and magic," said Odo Fioravanti, an Italian designer, while visiting Chengdu in July. "I was amazed, when I first set my eyes on it, by its artistic depth." Another must-see for visitors to the province is bian lian, a rapid mask-changing technique that is part of Sichuan Opera. Also known as "face changing", this act sees performers switch between an array of masks meant to convey their inner thoughts and feelings by raising their arms, swiping their hands across their face and performing a variety of other dance moves. Sichuan, with its abundant cultural resources, is aiming to develop its cultural industry by launching a series of policies and initiatives during the 13th Five-Year Plan (2016-20) period. The local government said it plans to offer financial incentives to 50 experts, 100 professionals and 3,500 staff members in the cultural sector. The added value of the industry is expected to account for 5 percent of provincial GDP by 2020, according to the local government. More than 150 of the province's 262 museums are open to the public, and Sichuan Museum hosted over 1,000 exhibitions in 2017, 498 of which were temporary. The Soul of the Silk Road, a special exhibition of cultural relics at Chengdu Museum from the end of 2016 to April 2017 attracted a record 1.08 million visitors. By 2020, the number of museums in Sichuan is expected to reach 280. Huang Zhiling contributed to this story.